On this page, you will find all there is to know about the Software updates for World to the West on Nintendo Switch (originally released on January 18th 2018 in Europe, North America, and Japan)! How to download updates for World to the West for the Nintendo Switch? 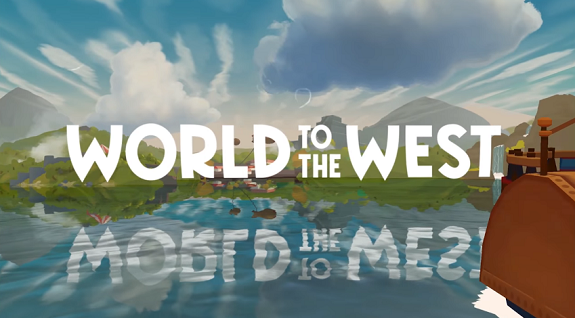 World to the West – Ver. ??? Replaced many visual effects and animations with more performant versions. Improved performance for objects that occasionally animate, like chests, doors etc. Improved performance during the last boss. Improved compression for many assets. Improved the performance of the UI. Adjusted water edges in all levels with water to match the shore better. Improved lighting in several levels that were too dark. Made fish less likely to escape the water. Improved look of fog in many levels. Added burn marks to several explosions. Improved look of foot dust effect. Repaired holes in the level geometry in quite a few levels. Improved AI navigation in most levels. Minor fixes to the Japanese translation. Fixed bug where the music sound would get permanently lowered until the game was restarted when entering and exiting the menu many times. Moved several NPCs which could get the player stuck behind them. Fixed an issue where Clonington could get stuck after a pugilism match. Fixed ridden monsters moving too slowly after being ridden into a scene. Fixed some instances of creatures that were falling to their doom teleporting back to safety. Fixed some NPCs not playing their walking animation when walking around, and some other animation issues. Fixed Lumina being able to blink through a few level transitions without triggering them, causing the player to fall off the edge of the map. Fixed some shader bugs causing graphical artifacts. Fixed a few mismatched level transitions, which could cause players to end up outside the playable area if entering certain levels. Fixed issue where you would fall through some stairs. Fixed several levels having the area under it’s death plane marked as walkable, causing the player to occasionally get stuck there. Fixed issues where you had to leave the area to be able to pay Bear and Cat to change their song again. Fixed issue where the Flailmunk’s homerun effect would get triggered at the wrong time. Fixed Flailmunks getting eaten mid-attack by Grues. Fixed SnortHogs getting stuck in an invalid state if you stopped mind-controlling them mid-charge. Improvements and fixes for sound and visuals in the end credits. Fixed issue where Steam saving would lock up. Flailmunks are now afraid of Clonington when he flexes. Added drop shadow to all controlled characters, and greatly improved the performance on the characters that already had drop shadows. Added a character bark when switching between characters in the totem map menu. Knaus now moves much faster while underground, and digs holes faster.